Banks Behaving Badly, Who To Trust, & Has Toronto Real Estate Peaked? Home » Blog » Banks Behaving Badly, Who To Trust, and Has Toronto Real Estate Peaked? Welcome to the third round table edition of Debt Free in 30, recorded in person at the Hoyes Michalos offices in downtown Toronto, so you can listen to the audio, or watch the video on YouTube. My guests today are all personal finance experts based in Ontario. Barry Choi writes on the Money We Have blog about personal finance and travel. Today we cover three stories in the news. In recent articles it’s come to light that big banks have been pressuring their employees to meet sales targets – at any means necessary. That means selling more products to clients, regardless of whether or not it’s in their best interest. Bank employees contacted CBC’s Go Public and explained the sales processes they were uncomfortable with. In addition to upselling products, employees also admitted to increasing clients’ lines of credit without their knowledge. They were knowingly violating the federal Bank Act in order to meet unrealistic sales revenue goals. Our experts on today’s panel discuss different options to help consumers. Mostly additional transparency of seeing bank employees for what they are: salespeople for financial products. This podcast is all about transparency from the professionals and from every day consumers. Something we’re seeing more and more in the world of social media is sponsored content. These sponsored posts aren’t limited to bloggers, they extend to social media influencers with large followings on their Instagram and Twitter accounts. new guidelines that require online influencers in Canada to fully disclose paid endorsements. While it doesn’t delve into the definition of an “online influencer” this is a great start. Whether you agree with this practice or not, it’s a practice being adopted by a lot of online influencers as a way to make additional income. read content from a variety of sources. Well we’ve been calling it for yes, but I’ll make another prediction: the Toronto real estate market peaked last Wednesday April 26, 2017. But then again, I’ve been predicting the peak of the real estate roller coaster for some years now. The biggest challenge with today’s real estate market is that it not only affects home owners, it affects renters too. One our panelists today is a home renter in an attractive area in Toronto. After their neighbour’s home sold for $200,000 over asking, it was just a matter of time before their landlord put the house up for sale. If you’re a renter: Know your rights. Ontario launched a Fair Housing Plan in April 2017, which expanded the rent controlled legislation to homes built after 1991. This means that your rent can’t skyrocket overnight. There’s also a lot of information you can get from the Landlord Tenant Board if you think your rights are being infringed upon. If you’re a home owner: Don’t feel pressured to sell to make a quick buck. While the value of your home may have increased by half a million since your purchased it, don’t be too quick to sell. Yes you’ll make money off of your existing home, but you’re buying back into the same inflated market. Chances are slim you’ll find something that’s a similar size, with similar finishes, for less than what you sold your existing home for. 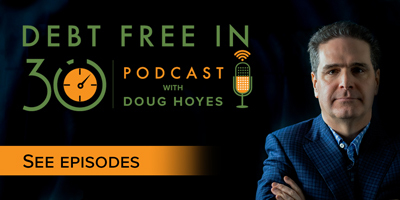 Doug Hoyes: This is episode #140 of Debt Free in 30, and it’s the third edition of the Debt Free in 30 round table. Unlike our regular shows where I have just one guest, on our round table editions, I bring in three experts to get three different viewpoints on money issues in the news. I did the two previous round tables over Google Hangouts, but today I’ve got the entire panel right here in the room with me, in the Hoyes Michalos office at Young and King in downtown Toronto. So let’s get started and welcome the panel. Guest number one, who are you and what do you do? Kerry K. Taylor: Hi, I feel like I’m on a dating show. Doug Hoyes: Yes, it’s guest number one, here we go. Kerry K. Taylor: Well, my name is Kerry K. Taylor, I’m a financial blogger at squawkfox.com. I contribute to the Globe and Mail, and I contribute to CBC’s On the Money. Doug Hoyes: Fantastic. Well, thanks for being back. Kerry was actually a guest on show #113 back in October of 2016, and we talked about MOGO loans and we’ve decided we will not mention that word ever again here on this show. Kerry K. Taylor: That word – bad. Doug Hoyes: That’s a bad, bad word. Guest number two, who are you and what do you do? Barry Choi: Hey, I’m Barry Choi, I’m a personal finance and budget travel expert at moneywehave.com. Doug Hoyes: Thanks, and Barry was a guest back on show #13 in November 2014, so I know, it’s been a while. And we did that over the phone or Skype or something, so I’d never actually been in the same room with Barry, so it’s kind of cool to be having him here today. And guest number three, who are you and what bestselling book did you write? Robert Brown: My name is Robert Brown and I am the author of Wealthing Like Rabbits, an original introduction to personal finance. I also do some freelance writing for MoneySense magazine and a couple of other blogs. Doug Hoyes: Oh, he’s my favourite, and you know why, you know why? Because today he has brought with him butter tarts. This is the butter tarts edition of the Debt Free in 30 round table. So tell us the story why this obsession with butter tarts. Robert Brown: Well, it started back in January, just after New Year’s Day, and it started on Twitter. And I think it Gail Vaz-Oxlade – and I’m going to throw Gail under the bus here – was tweeting about budgeting and food columns in your budget. And because my brain works the way it does, I tweeted back to her, I need a column in my budget for butter tarts alone, because I’ve got a bit of a butter tart problem. Kerry K. Taylor: They should have raisins. Robert Brown: – flour or lard and all that sort of thing. And I actually picked up the challenge of learning how to bake butter tarts. And the butter tarts you ate today, is actually the fourteenth batch of butter tarts I’ve made since then. Robert Brown: I actually have a binder at home called the Butter Tart Diaries, and as I’ve learned and improved them, this is where we are right now. Kerry K. Taylor: This is so Canadian, it’s killing me. But I’m going to give you kudos, because you didn’t just make standard butter tarts with or without raisins; you kicked it up and you made gluten-free pastry for me, which is like – and it was really good. Like I have coeliac disease, so I can’t eat the standard Canadian butter tart. So thank you. Kerry K. Taylor: I think they were delicious and amazing, and we’re all pumped on sugar, right. Doug Hoyes: Yes, we’re all pumped on sugar, so I’m going to throw in some controversial topics here and see if we can use the sugar to our advantage. So story number one, banks behaving badly. So back in March the story broke that TD Bank employees were required to meet sales targets to sell more clients products. And I’m not here to pick on TD Bank, because every bank, I’m sure, does exactly the same thing. The three bank employees who initially contacted the Go Public Show on CBC explained how tellers upsell customers. So when a customer comes to the teller and they key in their pin number, a thing flashes on the screen that says hey, you know, you can sell this person overdraft protection, a credit card, a new auto loan, whatever. So it’s an automatic sales pitch that you’re getting. So my question is, is this something we should worry about, or is this a problem? So let’s start with Kerry K Taylor – tell us what you think of banks and whether this is – I mean, the banks are a business, so what’s the problem with them trying to sell us their products? Kerry K. Taylor: Well, exactly. They’re into sales and I find it frustrating whenever I want to deposit a cheque or ask about a product or service, and then they pull up my screen and say, hey, how about a line of credit, how about we up your credit balance? How about we – you know, do you need a mortgage? And it just seems like they’re pushing an awful of debt products, and given the Canadian savings rates and given how much debt we carry – what do we have, like 1.68 now? Kerry K. Taylor: You know, maybe there is a problem there. Historically we’ve looked at the banks as our friends, right; our parents would take us into the bank they banked at. They would give us advice on what to do with our money, how to invest it. But over time, this has really changed a lot. The banks are pulling in all these major profits, so we need to sit back and say, look what’s happening. Customers need to know that banks are targeted to sell. And the other flipside is, people need to look at your banker not as someone who is always going to give you the advice in your best interest. And I think that’s the problem with a lot of these titles – they’re called financial advisors, or you know, we look at them as giving us good advice. And I think that’s an issue with the title, because we need to look at these people, not as a financial advisor, but maybe as a financial product salesperson. Because they’re going to do what’s in the best interest of their back pocket; they have targets to meet, they have bottom lines to meet, and it’s really hard as a consumer to know what product is in your best interest, that’s going to do well for you and your family. Doug Hoyes: So Barry, what say you? I mean, a bank has got to make money, and you know, we’re all – and our pension funds have bank stocks, so aren’t we all glad they’re making money? Is this really a problem? Barry Choi: For me, it depends how you look at it. Like, I get it from a bank’s perspective. Like you said, it’s a business. So do I have a problem with them offering me a credit line, increasing my credit limit every single time? I don’t have a problem with that, because I understand that banks are just trying to make sales targets, or trying to bring in more business. You know, it’s easy for me to decline these products, because I know they’re not good for me. So you know, maybe there’s an issue with education. But what I do have a problem is when banks – like Kerry said – they’ve got to meet sales targets, and we haven’t really talked about this. You know, we’ve had bank employees admit that they’ve sold products that aren’t beneficial to the customers, because they’re trying to keep their jobs. Now, honestly, in my younger days I’ve had jobs like that, where I certainly can’t relate to them, and it seems that people are just looking out for themselves. I know it sounds awful, and is there a better way to regulate these things? I don’t know, but I definitely understand why banks push these things. Robert Brown: It is an appropriate response within context. Look, when I go into a car dealership, I should know what I want when I go into that car dealership. I should know what size of car I want, how much I can afford, what I went in there for. And I know that car salesman, his or her job is to talk me into a more expensive car or a better car, or to take on a car lease, all of which will be more profitable for the dealership. So it is up to me to do that homework to make sure that I’m getting what I want and to have enough backbone, if you will, to say no when I should. And when we go back to the CBC report on TD – and you’re right, it’s not just TD – one of the things they talked about is that people were being signed up for things that they never signed up for. People were having limits on their credit cards increased that they never authorised. 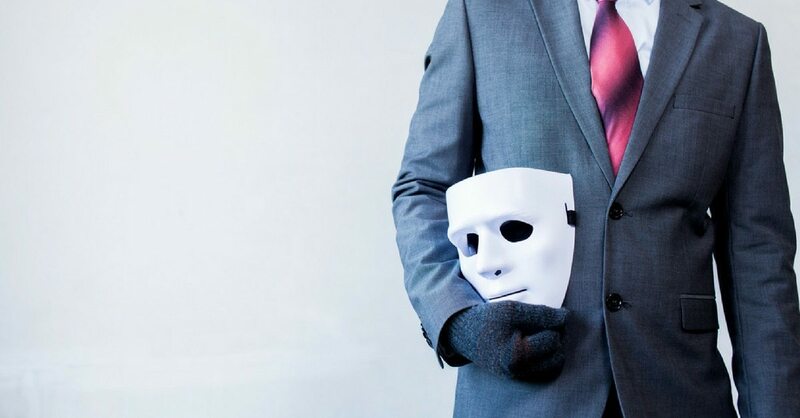 There is a difference between fraud, which is illegal and should be addressed, and salesmanship. Now, I’ll be the first to agree that banks are selling products to people that they don’t need, but in the same breath, you know, far be it from me to support the big banks, but I was actually talking to my bank about a month or so ago about mortgages. And they said, yes, there are times – well, they didn’t say yes, but they sort of conceded that there are times when they sell people mortgages they don’t need. But the mortgage advisor said, you have no idea, Rob, how often people come into the branch and say, I want a nine hundred thousand dollar mortgage to buy this home, and I know that it’s on the line in terms of my income, but if you don’t give me that mortgage, I’m going to walk down the street to your competitor and get it there. So it is up to the consumer to be responsible with their own money as well. Doug Hoyes: Well, and you give the illustration of a car salesman. When I walk into a car dealership, I know I’m talking to a salesman, like there’s no illusion that this person is my friend. But when I go to the bank and I meet Myrtle, who’s been there forever, and she’s always cashed my cheque, because I live in a world where there’s no direct deposit, I guess. And so I assume that she’s there just to help me. Kerry K. Taylor: It’s an intimate relationship. It’s our money, sometimes we go in there with an ageing parent, sometimes we go in there with a child, setting them up with a new account, so it’s an emotional thing to work with your banker. But with our used car salesman, you know you’re dealing with a salesman, you know you’re dealing with someone that’s going to sell you a car. When you’re dealing with the bank, I don’t think the Canadian consumer is quite, you know, aware yet that this is also a sales relationship. And when it comes down to the fraud, where you’re just getting your credit card limits increased without your knowledge, that’s a huge issue as well. And so the used car salesman is a great example, but the bank is a completely different animal, because they have titles that are called financial advisor – we think we should trust them. Robert Brown: And the sell is a pretty hard sell, and we talk about personal experience. I remember when I finally paid off my mortgage four or five years ago, I went into my bank – and I don’t go into the bank very often, so they don’t have a lot of opportunity to sell to me. But when I made sure that the bank had been – my mortgage had been discharged and all the Ts had been crossed and Is were dotted, the first thing they asked is, you know, now this is paid off, you know, would you like to get a new mortgage so you can buy a bigger, better house? Kerry K. Taylor: New bathroom, new butter tarts. Robert Brown: And they’ve never seen my house and what a dump it is, really. Doug Hoyes: Okay, so what am I supposed to do, Barry? I mean, let’s give some practical advice here; what’s the answer? When I walk in to the bank, what should I be thinking, what should I be doing? Barry Choi: I don’t think it’s just the bank these days. I think we just live in an age now where we need to do our research for anything, you know. Some of you guys know that I’m having a child soon, but you know, I’m researching strollers, literally everything I can possibly think of before I actually make that purchase. And when I walk into a store, I’ve already got an informed decision. Now, it’s true, like you know, walk into a bank or any store, they might something that I’m unaware of at the time, and you know, if I’m interested, I can learn a little bit more about it, and at the same time, I can then compare it to the research I’ve already done. So I don’t think it matters what you do, we just need to research everything these days; we talked about used cars – it doesn’t matter, right. Like honestly, I’ll research what underwear I’m going to buy. Kerry: So you have to like, okay, you know, put it in the hands of the consumer. A lot of the time we don’t realise that there’s a lot of different types of mortgage products out there, a lot of different types of bank products out there. And we need to look at our focus on what we’re actually spending our time researching on. Kerry K. Taylor: You skated, you were on your skateboard. Barry Choi: And they offered me – like we would have got approved for a million dollars, and we wanted no part of that, right. But Kerry’s right, it’s like I had spent the time researching mortgages, I knew what my debt levels were, what I was comfortable with. But at the same time you know, you just look at the real estate market right now – people aren’t even looking at mortgages, they’re just putting in their offer first and they’ll figure out the money after, because they only see prices going up, or whatever, right. Kerry K. Taylor: I have coeliac disease, I’m not buying wheat stock. Barry Choi: Or bitcoins you can just tell, people are just following the trends, and then every so often I’ll read some news report, it’s like oh, you were surprised that you scammed, because this guy was offering you 20% interest with zero risk? I’m like, what did you expect, like honestly, right? Robert Brown: It’s funny, my wife and I had that conversation yesterday, and while I’m empathise and I feel for people that get scammed, sometimes there’s this thing in the back of my head that says, come on, at this point, how could you fall for that, you know. Robert Brown: You’ve got it. Kerry K. Taylor: No, no, no, because it’s not fair. I mean, if someone has the title financial advisor, you think they’re going to give you advice in your best interest. But I think with the banks, what the CBC has opened up is like, look, here’s a lightbulb moment: the banks don’t have a fiduciary duty to you – can we drop that word, fiduciary duty? Maybe they should, maybe we need some regulation in there to protect people and their money. Maybe we need to look at the kind of titles people have, maybe it should be financial product salesperson. So I think, you know, blaming the consumer for what’s happening at the banks, for what’s happening with the fraud at the banks, when credit is increased without your prior consent, I think that’s a really different issue. So if I’m buying a stroller, yeah, I’m going to make sure it’s not on the recall list, but if I’m going to a bank and they’re selling me stuff that’s in their better interest, with high-fee mutual funds and what not, that’s really harder to understand for consumers, because we don’t know that we should understand that yet. So I think the value of the CBC story was that they were letting people know that this is happening, and maybe it’s time for legislation to change with the times. Doug Hoyes: Yeah, and you’re right; we’ve got to distinguish between fraud, which as Robert said, well, it’s illegal, I mean, they shouldn’t be doing that. Doug Hoyes: No, no, I would certainly not say that — What we’re talking about is the salesmen, they’re trying to sell you something, and so I think my take on it is, you have to understand when you’re talking to someone, that they are probably trying to sell you something. Kerry K. Taylor: Yeah, get your spidey senses up. Doug Hoyes: This is a spidey sense question. Kerry K. Taylor: – spidey sense. You know, the CBC story is great, because it’s like people need to have spidey senses when you go in there. It’s like, when they say, do you need – like the amount of times I’ve been offered a line of credit – I don’t have a line of credit, I don’t need a line of credit, I don’t want it. I wish I could say to the bank employee, can you put on my record, never offer me a line of credit. Kerry K. Taylor: Because it’s harassment. Doug Hoyes: – because you don’t have it. Kerry K. Taylor: Stop harassing me. Doug Hoyes: So okay, this whole issue of spidey sense – so I think this is kind of going to be the theme of the show. So let’s go on to the next story, and let’s talk about, for lack of a better word, social media influencers. And this may get into some controversial areas, so we’ll see if we can roll with it or not. In the old days life was simpler. As Robert said, I go to a car dealership, I walk in the door, I know I’m being greeted by a car salesman. My spidey senses were tingling, I knew it was about to happen. But as we just discussed, with the banks, I walk in there and I don’t realise that I’m talking to a salesperson; I think I’m talking to a teller. But now I think it’s even worse, because now we get a lot of our information from the internet. I’ve got a blog, Barry’s got a blog, Kerry’s got a blog – you got a blog there, Robert? Robert Brown: I just write on your blog. Doug Hoyes: That’s right, there you go. And obviously Robert has written books, so we are all writers, and you know, we’re all happy to do speaking engagements, if someone’s willing to write us a cheque, we’re willing to be there and do that. So ultimately, are we not all salespeople at some level? So Kerry, let’s start with you again on this one. You had recently tweeted out a story from the Globe and Mail about bloggers, and the gist of that story was, they’re not as trusted as they used to be? Kerry K. Taylor: Yeah, so the whole idea was – it wasn’t just bloggers; they lumped a whole group of people in there. So you’ve got, you know, people with Instagram accounts, Twitter accounts, blogs, who are being engaged by different products, brands, services, to share information about it. Doug Hoyes: They have lipstick? Kerry K. Taylor: Oh, yeah, they’ve got clothing, they’ve got everything. Doug Hoyes: I didn’t know that. I did not know that. Kerry K. Taylor: And now you’re seeing the Kardashians having to like, when they’re promoting a lipstick that they’re getting paid hundreds and thousands of dollars to put on their Instagram, they have to say it’s sponsored or an ad in the States. So we’re seeing that happen in Canada as well, and what it’s doing is, it’s changing the ad environments, the climate, with the Canadian Standards Council of Advertising, I believe it’s called, and they want the social influencers to label when they’ve been paid or offered products and services in lieu, in trade of social commentary on their brand or stuff. So that’s what’s happening, and when I saw that, I said that’s a big deal, because in the list you’re seeing social influencers are being a lot less influential, because people see the word ad, or sponsorship. And I think it’s great, I think that’s what should happen. I think people should label when things are being offered to them for their opinion, whether it’s a roaring opinion about how great the product is, if it’s – what’s the word when you approve of something? Kerry K. Taylor: Endorsement, thank you. I’ve just never done it, so I’m all confused. Robert Brown: I’m here to help. Barry Choi: I endorse Robert’s book. Kerry K. Taylor: You have all the big words, Robert. Yeah, so if you’re endorsing a product, or even if you’re lately endorsing it, that’s the whole idea. So I sent out the tweet, because I have a blog – I’ve been blogging for well over ten years, I’ve seen the climate change drastically over that time. Everything from paid links to search engine, gaming, to this whole new world of sponsored content. So I think it’s good; I think labeling this information helps the consumer, and it helps show where money is changing hands and what is a paid opinion and what is not. Doug Hoyes: So Barry, I mean, again, I’m kind of asking you the same question I asked you in the first segment. So people have got to make money, so how can you be a blogger and make money is you don’t have ads, if you don’t have sponsored content, if you don’t do affiliate links, all those kind of things? Like, that’s the revenue model, right. So there are very few subscription blogs where people are willing to pay a hundred bucks a month to read your content. No one will, exactly, because the internet is free, right, I expect everything to be free, I expect TV to be free, newspapers to be free, the whole bit. So where do you draw the line then? How do you, as a blogger – and you write a lot about travel for example, in addition to personal finance – how do you as a blogger give good information to your readers, but still; at very least, cover the cost of your blog? Where’s the line there? Barry Choi: Well, full disclosure, to everyone, I do a lot of sponsored posts, I do a lot of brand ambassadorships, I do ads. I do make some money from my blog, you know. Is it enough for me to make a living? Probably not, but I just want people to understand out there that it is something that I’m conscious about. So you know, it depends how you look at things. You’ve got to look at each individual brand. All the brands I personally have worked with, are very upfront; you know, these are major corporations where they understand – like Kerry said – it’s got to be – there’s no laws in Canada yet, but is always says, this is a sponsored post, blah-blah-blah. And I think it’s up to each individual blogger; I’ve seen bloggers out there who have created a blog, just try to create sponsored content, try to generate revenue. I didn’t start my blog for that reason, I started because I just wanted to educate people and then the sponsored posts came. Doug Hoyes: But we all use banks. Doug Hoyes: So we can trash them all we went, but we’re all complicit. Barry Choi: Exactly, but more importantly, I try to let my readers know that there’s more than one option. You know, I bank with two different banks – two different online banks – that’s a personal choice, not everyone has to do that. But I just like to look at what’s available to me. I don’t think there’s the old days of sticking to one brand. But as far as me personally, I like to stick with brands that I know and trust, so obviously some simple rules for me is like, it’s got to be Canadian obviously. If it’s a random brand, I’m not going to really promote it. But does it fit into what my brand is? So we talked about I do a lot of travel. So yeah, so I do some work with travel companies, but that’s no different from a travel journalist, you know. I recently did a press trip to the Florida Keys and I’ll probably write about it in my blog later, and I’ll disclose in that post that I was sponsored by the Florida Keys. But you know, that’s no different from a travel journalist; they do that all the time, it’s no different. Doug Hoyes: So you put it right at the top? Barry Choi: I do it at the top, because I want my readers to know right away that this is a sponsored post and they do not need to continue reading if they don’t want to. A lot of bloggers put it at the bottom and that’s fine, because there’s no rules, I have no problem with that, but I want my people to know that I’m upfront, this is – it’s there for you to read it. And at the same time I think my readers know that I’ve established this kind of criteria that they know that I’m not going to write about it unless it’s good, or I believe in it anyways. Doug Hoyes: So some of your blog posts are – you’re just writing about, you know, whatever caught your fancy that day? Doug Hoyes: Barry looks right at me. Barry Choi: – but I’m big into the credit card world, right, and I’m always looking at features. And sometimes I write them in a positive light and sometimes in a negative. And I may or may not be getting paid, but when I am getting paid, I make sure everyone knows it. Doug Hoyes: That one didn’t work so well. Doug Hoyes: Didn’t work so well there either. Barry Choi: No, exactly. But I think you understand what I’m getting at. But I think – you know, Kerry had a great point about the Kardashians – they’re charging, you know, hundreds and thousands of dollars – I’m clearly not. Barry Choi: I’m not, I know. Barry Choi: That’s exactly it. Kerry K. Taylor: You need to work on your booty. Kerry K. Taylor: And girl – gal. Kerry K. Taylor: This is not an all-male panel. Robert Brown: – were made using Pampered Chef kitchen equipment supplied by my Pampered Chef representative Cathy Barber in Gravenhurst, Ontario. Robert Brown: But I think Barry brings up a good point, that you know, it’s important that if you are going to be sponsoring, or it’s going to be a sponsored post, that you are upfront about that, and put that right at the top, or at the bottom of your post – that’s important. I know, Doug, on a previous podcast, you and I got into a post that came out of Ottawa, where someone had tried to fold in an endorsement of a payday loan place into the post, without even announcing it. So A, it was bad advice, and B, it wasn’t announced that it was sponsored or anything. So myself and Gail, and I think some other people, kind of jumped on that, and which brings up the second thing I’m getting at. When it is a post, if you post something that somebody disagrees with, you had better be prepared for some heat on that. And that’s fair, as long as it’s polite and professional, and all that jazz. Robert Brown: Let me ask you this, Barry – you just got back on a sponsored trip from the Keys and you’ll be writing about that in the future. If – and I’m sure you had a great trip – but if something about that trip had really sucked, would you be as comfortable posting that, knowing it could possibly interfere with your ability to do a sponsored post in the future? Barry Choi: I think all the brands I work with, I make it very clear to them that I’m going to have an opinion, and they have no right to – it depends on – like it’s all about the contract. Robert Brown: It’s not black and white. Barry Choi: Exactly. But I will tell them, it’s like, if I didn’t like a certain thing, I’m still going to say it. But at the same time, obviously, I’ll highlight the things I like more, but I will not hide certain things, just because I didn’t enjoy it personally. You know, I got lucky on this trip – I actually liked the boys, do you know what I mean? But at the same time, you know, we can talk about being smart about your sponsored opportunities. I’m not going to take a sponsored post if I know I disagree with it. You know, if all of a sudden, like MoneyMarket say, you have ten thousand dollars to write something positive, I still won’t take it. Barry Choi: I might sell out for that – maybe a little less, okay. Robert Brown: What’s the price of your soul? But also, at the same time, I think – you know, we talked about do you trust influencers or not. People eventually know which influencers to trust. Like I said, I’ve come around influencers where you can know, it’s like, you just look at – see their Twitter ratio, oh, you’ve got a hundred thousand followers and you’re following two hundred thousand, and you get three likes per tweet. Like, that means nothing to me, like you are a nothing. But at the same time, you know, even on this podcast, I disclose right away that I get paid for certain things, and that’s automatic for me. So if I’m, say, doing a media interview, I will tell the producers in advance, if there’s any sort of conflict whatsoever with a certain product that I may be mentioning and I’ll tell them in advance I’ll go, if you don’t want me to mention, I’ll leave it out, no problem. If you go to my website right now, I have a full disclosure statement listing every single brand I’ve worked with, how I get paid, so people know right away. So again, that’s just me, and how people – and I think that give me a more authentic voice. But not everyone agrees with that, and I understand that, and that’s fine. And quite often, you know, I’ll do a post – I wrote this post about, Is The Car Worth It, you know. And we all know, I think, cars are never worth it, obviously they’re [unintelligible 00:26:44]. Kerry K. Taylor: My Uber today was totally worth it. Robert Brown: I ate butter tarts on the GoTrain coming down here. Kerry K. Taylor: Did you really? Barry Choi: – don’t spend more than 20% of your take-home income on all your car expenses, if you have to have a car. I think that’s very solid advice. I had people shitting on me, saying it’s like, oh, you don’t know what you’re talking about. I was like, yeah, because you’re ignoring all the other facts; you’re only picking on thinks that you want to believe. So in the end, I can’t control what people want to believe or not believe, right. Robert Brown: And Barry brought up another good point when he was talking, because people shouldn’t just trust any one social influencer, any one blogger, any one book. I spend far too much time looking at the personal finance book section at Chapters, and I can find books there that are totally aligned with mine, I can find books that are total opposites of mine. Two books in the personal finance world on housing – Canadian housing market – are doing very well right now. There’s the Wealthy Renter by Alex Avery, and Burn Your Mortgage by Sean Cooper, both like total opposite views to the housing market. And if someone came to me and said which of the two books I should read, I would say both, so that they get different perspectives and they can make decisions that are right for them. Robert Brown: – and then make the right decision with – you know, [Simultaneous talking]. Kerry K. Taylor: This is more than conversation, right. Like what if the Globe and Mail, if all their journalists started getting paid for their opinion, right, how does that change the credibility of the paper? Barry Choi: Yeah, but that’s why they don’t. Kerry K. Taylor: Well, they don’t, right. So the Canadian public needs to know that blogs are not newspapers, that they’re not journalists, that they need to have that sponsored or paid or ad placed – I agree with Barry – at the top of the post, so that they know what they’re getting. For me, I just – I think if you’re choosing your business model to go the sponsorship route, you’ve got to know it’s going to either expand your business in certain ways, or decline it in others. And I think as a small business owner, that’s what you have to look at. So for me, I don’t take the sponsored content. I see the bloggers that end up taking a lot of the gigs that they have – those were pitched to me probably a month in advance. So know the PR people are constantly at me, they’re constantly trying to bring me on board to be their talking mouthpiece for something or other. And it’s really hard, because some of them offer good money. But I always say no, because for me, my route is I want to write for the Globe and Mail, I want to be on the CBC and I want to have 100% credibility in my voice. So for instance, if a bank does something and they behave badly, I don’t want to fear losing income from that source, because I’m speaking out against them. I want the Canadian public to know that at no point have I taken cash for a sponsored post, and that it’s okay for me to speak out against. Barry Choi: Robert and I would sell out for Fox and you know what, Kerry, Robert and I would split Kerry’s fee, you know what I mean? Kerry K. Taylor: Yeah. I do have a nice blog, don’t I, fellows? Doug Hoyes: Absolutely. It’s a great blog. Well, I think the answer to this segment is the same as the answer to the last segment, and that is, you’ve got to think. So everybody is biased, the Globe and Mail, sure, it’s full of journalists, but guess how the Globe and Mail survives – advertising and subscriptions. Kerry K. Taylor: And they have sponsored posts too, and they are labeled editorial – advertorial – yeah. Doug Hoyes: You know, no matter where it’s coming from, somebody has to get paid for their work, so I think you’ve got to consider the source. And I do agree with what Barry has said, that I think having the disclosure right at the top of the post, is where it should go. And just in the interest of full disclosure, nobody is being paid to be on this podcast, other than in the butter tarts Mister Brown has brought. Barry Choi: — next week. Doug Hoyes: Yeah, that’s right, so by the time you hear this on, I think, May 6th is when it’s going to air, the world may have completely changed. I was saying before we started this podcast that I believe the Toronto real estate market peaked last Wednesday. So I’ve called the top, so you know real estate will continue to go up from here, because I’ve been calling the top for four or five years now, as has Mister Brown. Kerry K. Taylor: My renter woes? Doug Hoyes: Your renter woes. Kerry K. Taylor: Okay, so I’m a homeowner who rents. I have a house, fully paid for, in British Columbia, rural BC, up a mountain top. It’s a little farm. Doug Hoyes: But you live in Ontario? Kerry K. Taylor: But now I live in Ontario, because that’s where the work market brought me. So I don’t rent out my house in BC, I’m a renter here in Toronto, so I’m a homeowner who rents, so I see both sides of the coin. But here in Toronto, I have a really good knack of living in really nice houses that the landlord wants to sell to capitalise on the crazy real estate prices. So the house across the street went on bully for two hundred thousand over asking, and the Globe and Mail did the right thing by reporting on it. And within a month, most of the houses on my street went up for sale, including the one I rent. Doug Hoyes: The one you live in. Kerry K. Taylor: So it’s kind of a precarious situation for a renter, because your lease ends at a time – for me it’s July. I can month-to-month, but I become the next landlord’s tenant essentially, unless my landlord wishes to move in, in which case it’s a whole slew of paperwork. So we’re seeing renters being pushed outside of the rental market in Toronto, because all the houses that they lived in are being sold. If they live in rental units that have been sanctioned as rental units, they are not seeing that same issue. But a lot of sweeping house measures have come in – rental measures – to change the market so that now – I believe it’s called the Fair Housing Act – so now if you have a rental that was built after 1991, the landlord can no longer double your rent overnight. It’s now paced that inflation, so two to two and a half percent, just like builds that were done in 1991. Houses are different; landlord can occupy the unit, condos, that kind of deal, so it’s really a tough place for a renter, because you become homeless. Doug Hoyes: Yeah, there you go. So what’s your take on it, you know, buy or rent, what is one to do in Toronto these days? Barry Choi: You know what, I’m kind of like in the sense where I thought the peak was five or six years ago, and I sort of obsessed over it for a while, it’s like, oh, prices are going to go down eventually, you know, interest rates will go up, things will overturn to normal — and it never happened. Doug Hoyes: Because you weren’t buying a house, you were buying a home. Barry Choi: That’s right, and you know, a few things changed over the years. You know, had we bought like six or seven years ago when we originally first started looking, we probably could have afforded that town home. In fact, right now, that looks like a deal. But when we were ready to buy last year, it was a lifestyle choice. I know for a fact – I ran the numbers obviously – that if we remained renters, it would have been cheaper, it would have been significantly cheaper. We were in a rent controlled building, it was pretty comfortable, but we were ready to be homeowners. So we ran our numbers and we decided this is how much we were willing to spend, we had a huge down-payment. And at that time we realised that a house was not possible, so we decided to buy a condo. So my advice is, I can’t just look at your numbers and figure out what your affordability is. You know, Kerry brings up a good point, where like, you know, in Toronto, rent is insane. So you know, at my position a year ago, it made sense for me to stay as a renter, but we chose to – but you’re a renter now, you may not have that choice, as in Kerry’s shoes. Like that move’s almost been forced onto you. Kerry K. Taylor: I could buy a place. Barry Choi: Well, that’s what I mean, but you’re being forced out of your rental unit? Kerry K. Taylor: Well, technically I will be evicted eventually. Barry Choi: You know what I mean. Kerry K. Taylor: You know, the best thing about getting evicted is everything. I love every stage of it, you know, I love the options it give me. Doug Hoyes: – with full legal disclosure. Doug Hoyes: So in your case, Barry, how long are you going to live in the place you live in now? Barry Choi: Well, I just can’t afford to move out now, so as long as possibly I can. Doug Hoyes: It’ll be a long time then? Doug Hoyes: So you’re not having twins? Barry Choi: Yeah, yeah, yeah. Barry Choi: I never saw it as a quick flip, at least not my wife and I, and we talked about it. And we’ve started to make it a home, if you get what I’m saying; it’s like, we’ve put in the improvements, like we know this will be a longer place. But at the same time, we never know what’s going to happen. Robert Brown: Which is a great point that people don’t talk about often enough. I live in Ajax, obviously suburb of the GTA. I bought my house almost twenty years ago now, for less than two hundred and fifty thousand dollars, which was market value at the time. Today it’s worth – and I’m using the quotation marks, for those people that are listening to this – well over that in today’s marketplace. But so what? I could make well over half a million dollars to sell my house tomorrow, but it means nothing, because I don’t have a place to live and I have to buy into the same marketplace. Robert Brown: – just as I’ve agreed with you every time you’ve said the housing market’s peaked in the last four years. But people can’t afford to sell their houses and make all that money, because they have to buy into the same marketplace. If we see a crack in the marketplace, I think there’s a lot of people waiting to sell their homes that can’t do it till the price of houses come down a little bit. Kerry K. Taylor: No, it’s not, because if you get out of the market, sell your house – and we’ve seen – you go to sleep at night, the market goes up 13%. All of a sudden you’ve got to get back into the market that’s roared ahead. So you know, boomers are loathe to leave their long-time homes, because they like their community they live in, they have their friends, their family and they don’t want to be priced out of the market overnight. 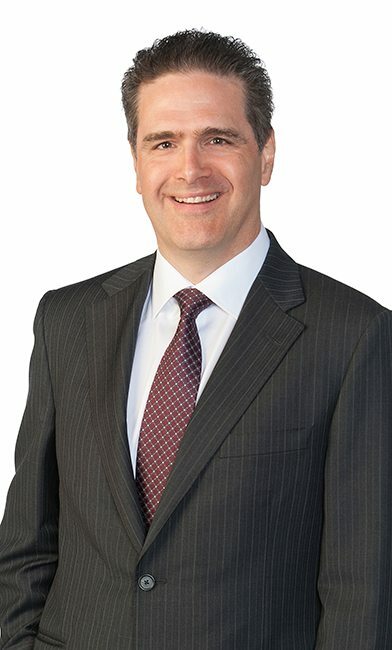 Robert Brown: And contrary to every retirement book that you read out there, people who grew up in Toronto and live in Toronto and have friends and family in Toronto, when they retire, they don’t necessarily want to move four hours away to a retirement community. They want to stay in the communities that they live in. So again, it restricts supply. Kerry K. Taylor: He’s not going to offer them money? You’re not helping them out? Robert Brown: I’m helping them out by introducing them to the realities of the world. Doug Hoyes: Excellent, good for you. Robert Brown: But the other thing that I made so clear to them, that if you do choose to rent, try to find something that’s reasonable to rent, and for god’s sake, save some money while you’re renting, so that if the market does dip, you’ll be in a position to buy better. Barry Choi: Yeah, and it’s crazy even to hear people are like having bidding wars for rentals, because they just want that lifestyle too. My old rental – it wasn’t anything fancy – but like Rob said it allowed us to save a fair amount. And more importantly, that money I saved went to not only a down payment, but I can diversify. It’s like, oh, you can borrow nine hundred thousand? I will take all nine hundred thousand. Kerry K. Taylor: Well, and here’s something that people – the people that own versus the people who rent, don’t often think about, is they look at just the monthly payment. So it’s like, if your rent is two thousand a month and your mortgage is two thousand a month, so who’s ahead, who’s behind? But you can’t look at just the monthly payment, right, because the math doesn’t work. When you’re a homeowner, you have to pay property taxes, you have to pay upkeep; there’s a whole slew of other factors that come into it. Plus you sell, you’ve got lawyer fees, realtor fees, property transfer tax fees. As a renter, I’m done at that monthly payment, so I know that’s going to go up probably 2.5% next year, but that’s my number. So nothing is going to change, I don’t have to pay $8,000 to fix the heating system, when it goes blip. And trust me, the heating in my house in BC went blip, so I’m $8,000 out there. So I don’t have that problem as a renter, which is a really nice thing. When there was a hole in the roof, I called the landlord, and I said, hey, it’s leaking, you know, you might want to check that, because now the electricity doesn’t work upstairs. Ha-ha, not my problem, right, until I get evicted. Doug Hoyes: Yeah, other than that, there’s the downside. So okay, final advice then for someone who is trying to decide rent, buy, what to do. I mean, obviously, don’t take our advice on when the real estate is going to peak, although I am pretty sure it was last Wednesday. Kerry K. Taylor: I’m going to hold you to this. Doug Hoyes: Yes, there you go. Well, it’s not like we’re recording this and anyone will ever know. Kerry K. Taylor: Okay, okay. Robert Brown: I do look pretty good for my age. Male: Yes, it’s the butter tarts that’s helping. Doug Hoyes: So what’s your advice to people in this situation? Robert Brown: Well, I’ll go to our go-to advice that we’ve gone through this entire podcast, is to do your homework and make decisions that are right for you, and really be a conscientious buyer. That said, I believe for most people in this market to continue to rent, try to find some reasonable rent – and that’s not easy – and then be sure to be saving some money for when that housing market does dip, which I agree with you, started last Wednesday. Barry Choi: Robert just nailed it. Like it really is – I think we’re all in a similar situation. The only other thing I would say is just, you know, diversify your investments; don’t put it all towards your home down payment, think about your future and what you plan on doing with the rest of your life. Doug Hoyes: It’s a good point, because real estate, if you consider that as one of your investments, if that’s where all your money is, you’re clearly not diversified. Kerry K. Taylor: I think if you rent, especially in a hot market, where you’re seeing a lot of the rentals vanish, I think as a renter you really need to know your rights in the province you live in, and go to the governmental sites and learn about what it means to be evicted. Learn about what your rights are as a renter when you have to leave, how your lease works, what the landlord’s obligations are. And where you can complain if the landlord isn’t listening to you. I think all of these are really important, especially when we’re seeing renters being pushed out of their homes, because of a hot real estate market. And landlords should capitalise on the sale of their property, but tenants should also know their rights, because it’s their home. Doug Hoyes: Yep, there are two sides to every story. Well, that’s a great way to end it, so where can people find you, Robert Brown? Robert Brown: People can reach me on Twitter @WealthingRabbit. If you want to reach out by email, it is rob@wealthingrabbits.com, and that’s that. Doug Hoyes: What’s the website? Doug Hoyes: See, there’s a theme here, and he wrote a book with the same name. Barry Choi, how can people find you? Barry Choi: You can find me at moneywehave.com. Doug Hoyes: Very simple. Kerry K Taylor – not Kerry Taylor, Kerry K Taylor, how could people find you? Kerry K. Taylor: By Googling with the K, that’s a great start. My blog is squawkfox.com, but you can find me on twitter at squawkfox, you can find me in the Globe, or you can find on CBC’s On the Money with Peter Armstrong. Doug Hoyes: And if you go to those Twitter accounts, you’ll see pictures of butter tarts, so that’s our show for today. Thanks to Kerry K Taylor, Robert Brown and Barry Choi for being here, and a special thanks to Robert Brown for the butter tarts. Full show notes, including full transcripts and links to everything we discussed, and the links to each of my guests’ websites, can be found at Hoyes.com – that’s h-o-y-e-s-dot-com Thanks for listening. Until next week, I’m Doug Hoyes. That was the special round table edition of Debt Free in 30.